Don’t want to turn on your oven and bake? 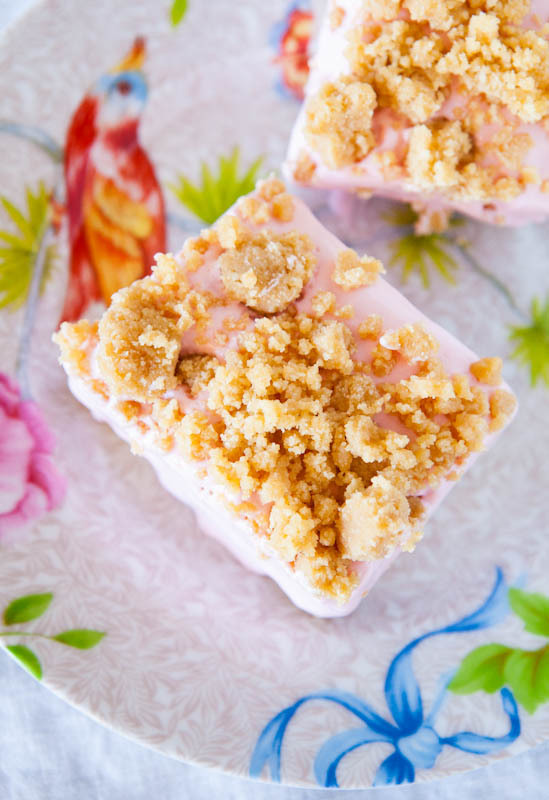 These salty-and sweet bars are your saving grace. 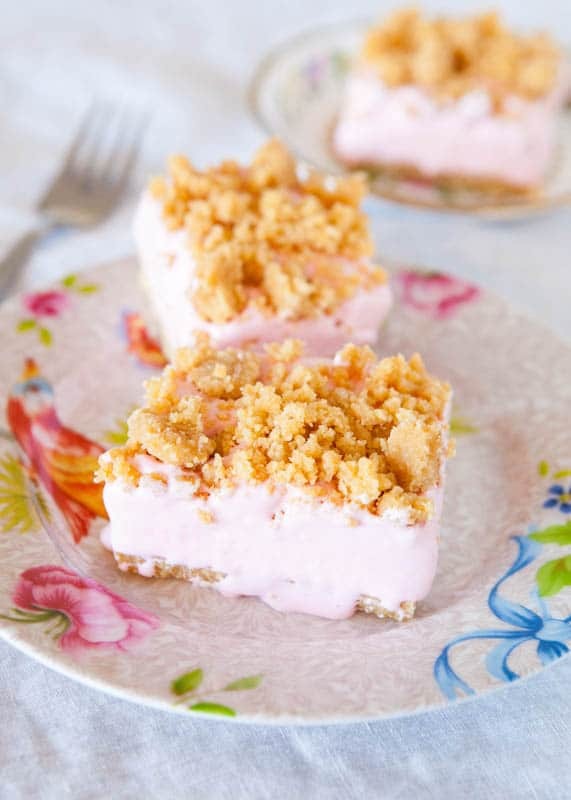 The bars combine sweet with tart, smooth with crumbly, salty with sweet. And you can knock them out in 15 minutes flat. 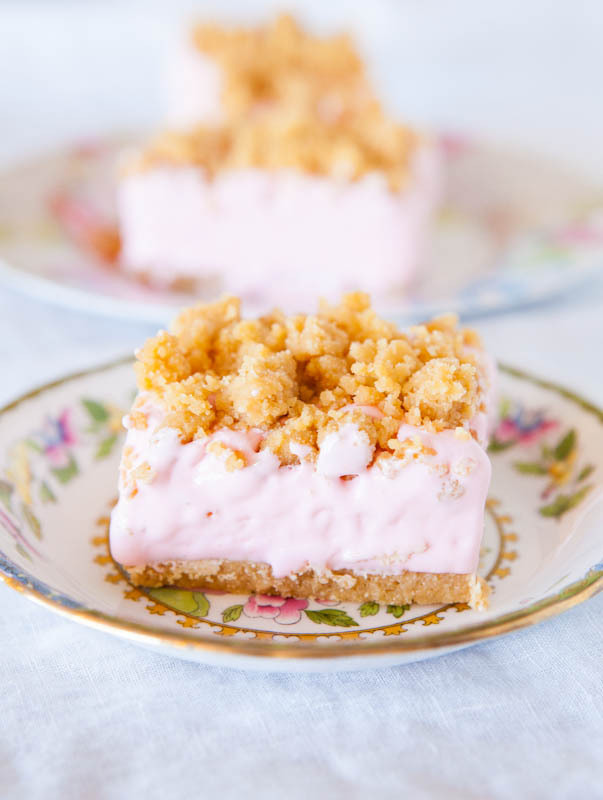 The best part of these freezer bars, in addition to being pink, is the use of one of my favorite ingredients, COOL WHIP Whipped Topping. 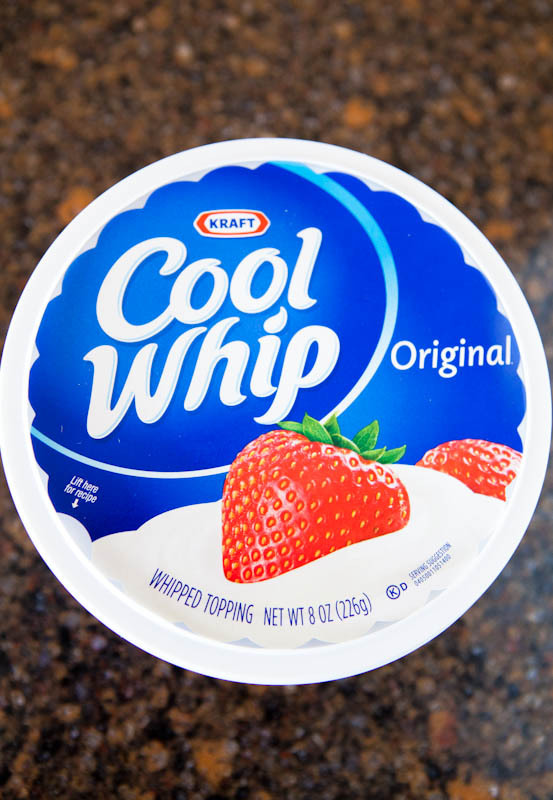 Copious amount of COOL WHIP in the freezer for a rainy day was totally normal in my household growing up. 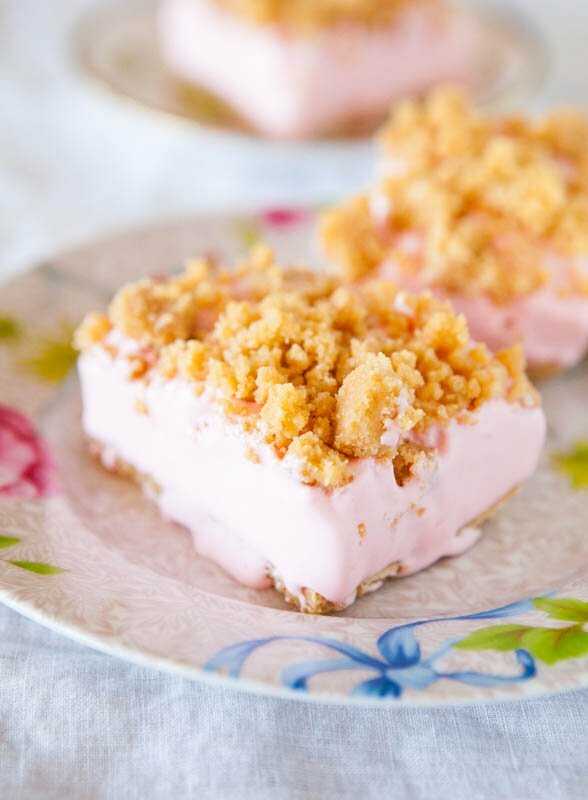 This recipe is a play on something my mom used to make called Lemon Lush and when I saw this recipe on the Kraft site for No-Bake Raspberry-Lemon Bars, it got my wheels turning. 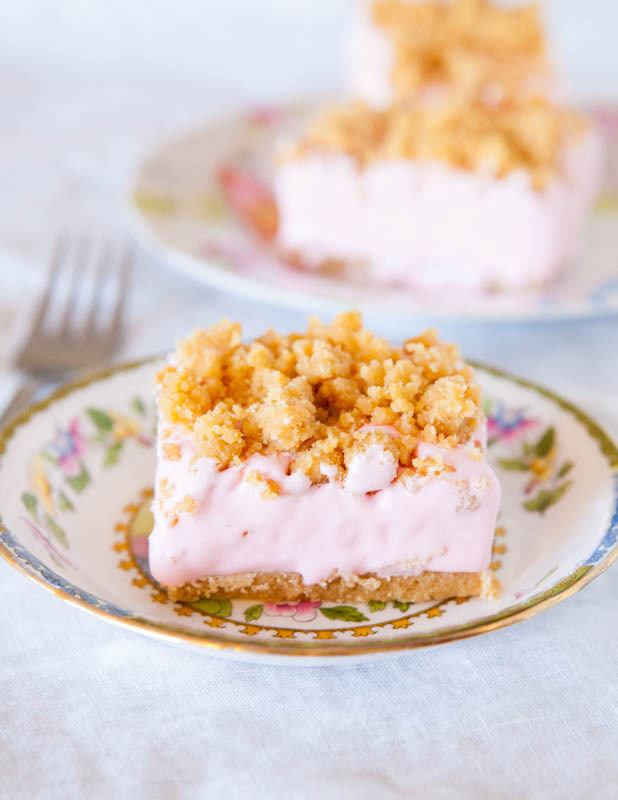 In addition to my love for the fluffy stuff, I love a good crumble topping. Actually, I am one of those people who picks off the crumble topping pieces from blueberry muffins or peach cobbler. They are concentrated little balls of butter and sugar so of course that’s what I go for. Except this crumb topping is not made from butter and sugar and flour. It’s made from butter and sugar and Ritz crackers. 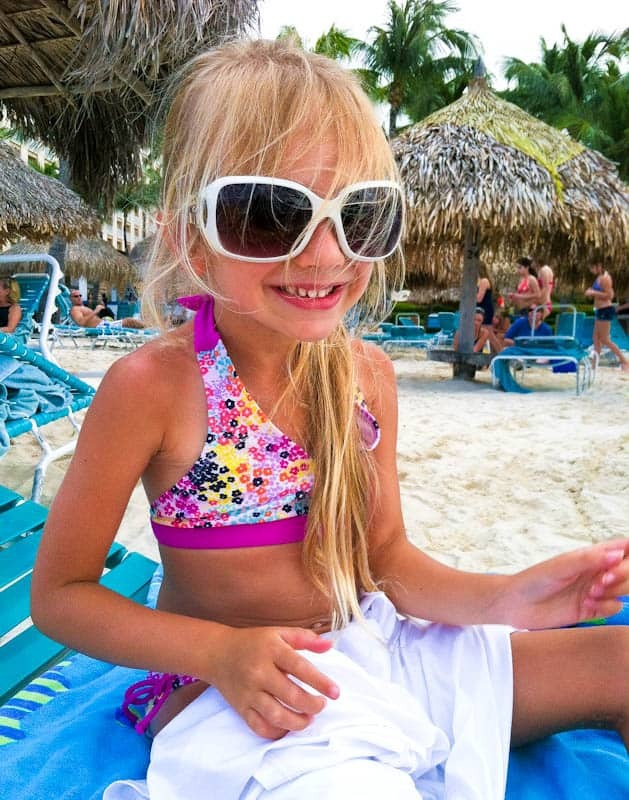 I have spring fever, badly. Maybe if I keep making frozen desserts spring and summer will arrive faster. This is the type of refreshing dessert you want after a hard day at the beach. 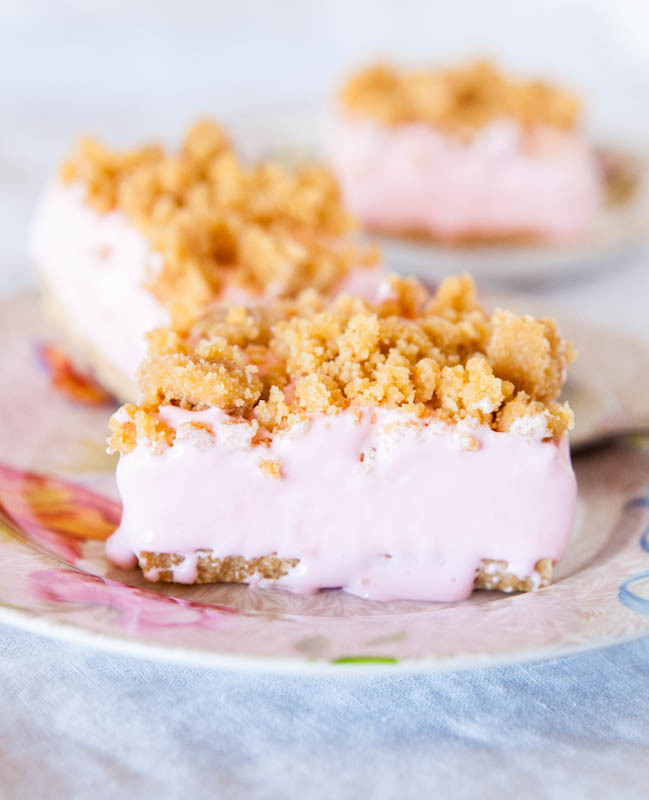 In between that beloved crumble topping and the buttery, slightly salty Ritz cracker crust is the tangy-yet-sweet COOL WHIP middle that’s fluffy without being airy. 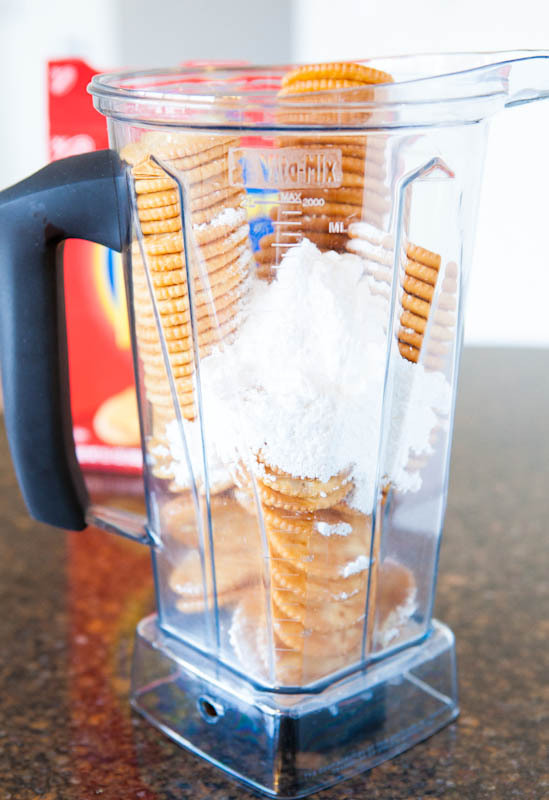 Place the crackers and powdered sugar into the cracker pulverizing container. If you don’t have one of these or don’t have a food processor, place the crackers and sugar into a large ziptop bag and roll a glass or a rolling pin over it until you have crumbs. Or hit the power-on switch for about 5 seconds. 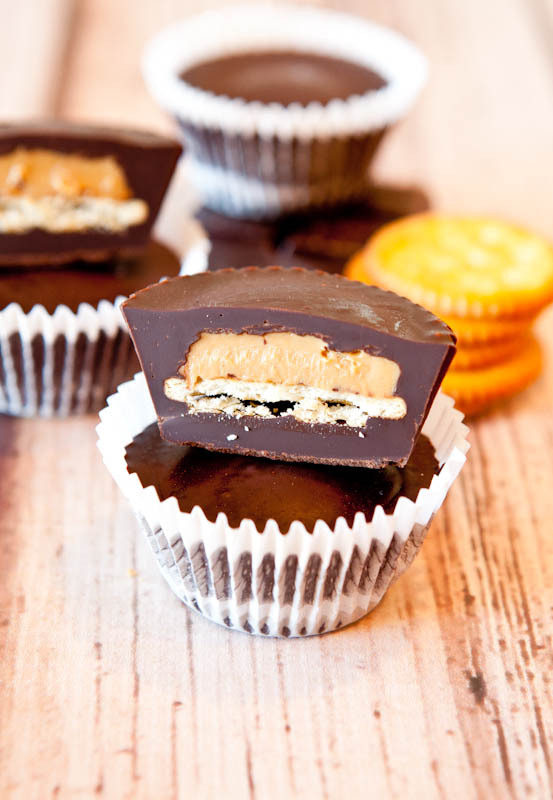 How do you make Ritz crackers better? You crush them and add butter and sugar. Stir until it combines and a dough forms. Press slightly less than three-quarters of the dough into the prepared pan, reserving the remainder for the crumble topping. 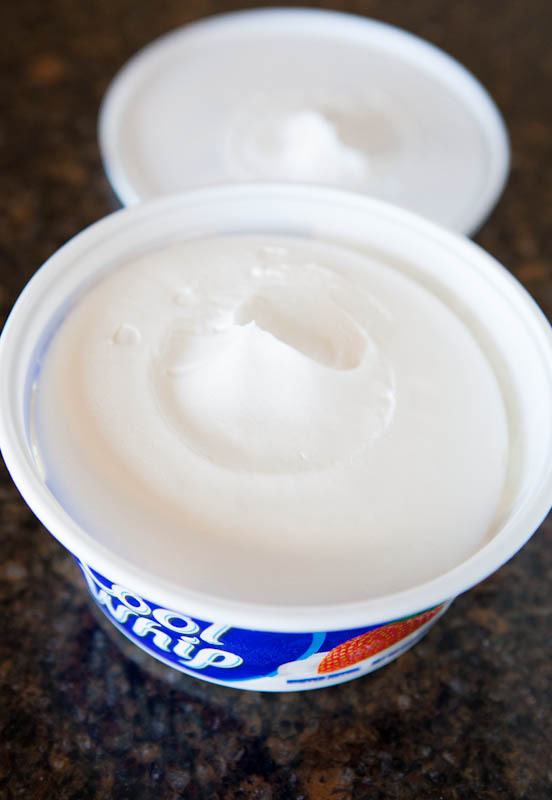 Crack the seal on the thawed container of COOL WHIP. How do you make a can of pink lemonade juice concentrate become amazing? 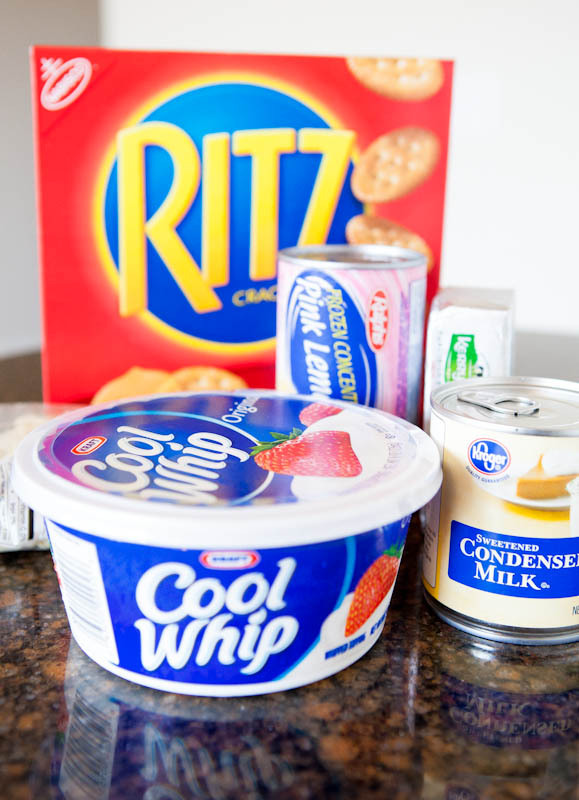 Add a can of sweetened condensed milk and a container of COOL WHIP. That’ll do the trick. 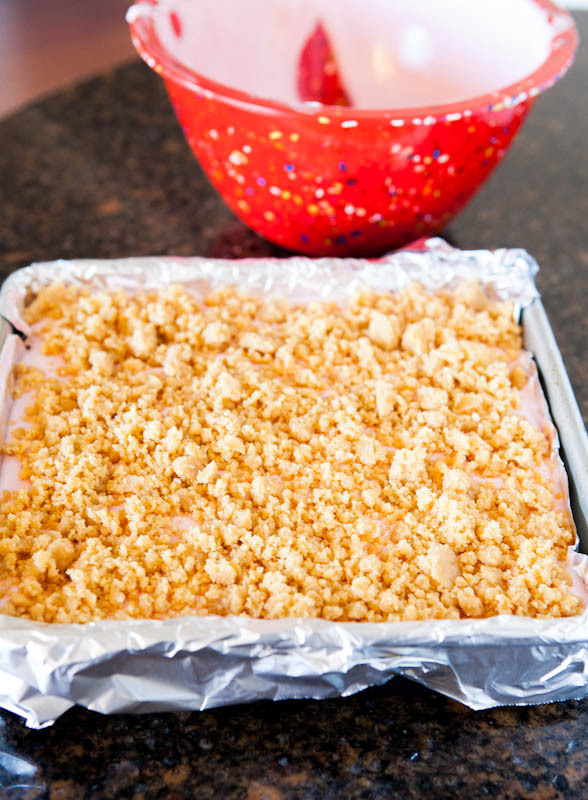 Pour the pink mixture over the crust, add the crumb topping, and freeze. Allow this to set up for at least four hours. While waiting, remember that patience is a virtue. The middle pink layer never quite freezes solid so you don’t have to struggle to slice it, yet it has a surprisingly long room temperature “shelf life” before it begins to melt. Must be one of those magical properties of COOL WHIP. I always go for that bite of softserve that is just slightly melty. 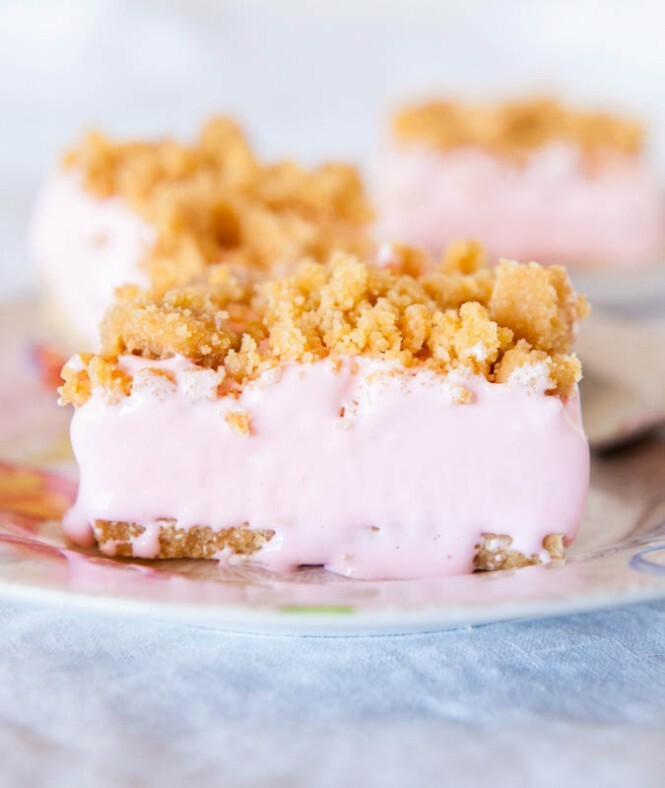 This dessert tastes even creamier when it just begins to melt and is going to be my summertime go-to dessert. 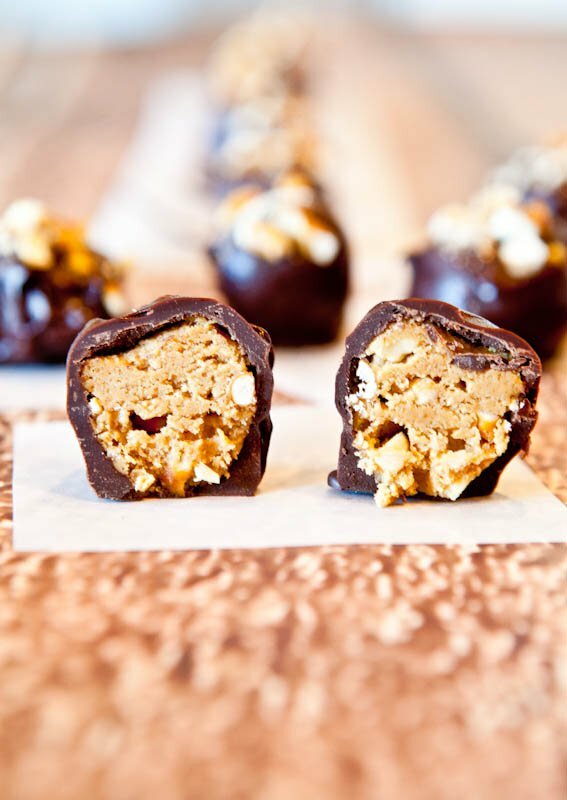 These easy, no-bake bars combine salty-and-sweet and are always a hit. 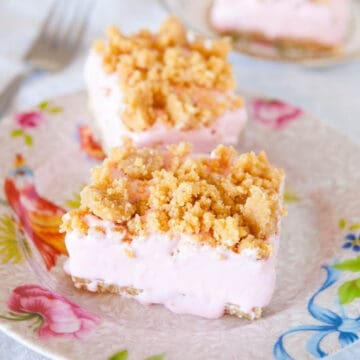 Crushed Ritz crackers form the crust and topping, and the filling is a tartly sweet and creamy mixture of whipped topping and pink lemonade. The bars are cool, refreshing, and perfect on a warm day. Line a 9-by-9-inch pan with foil and spray with cooking spray. 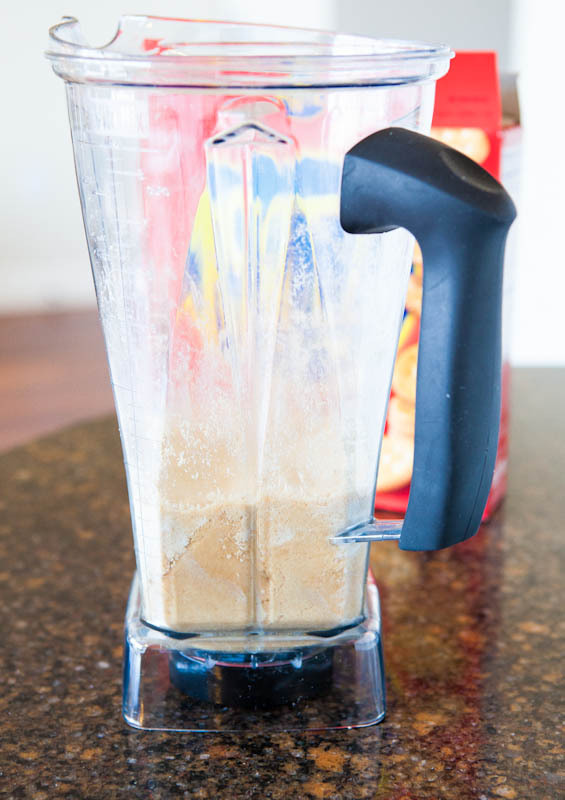 Place the crackers and powdered sugar in a food processor or blender to pulverize. Alternatively, cracker-crushing can be done by hand by placing crackers into a large ziptop food storage bag, zipping it shut, and rolling over the bag with a large glass, coffee can, or rolling pin). 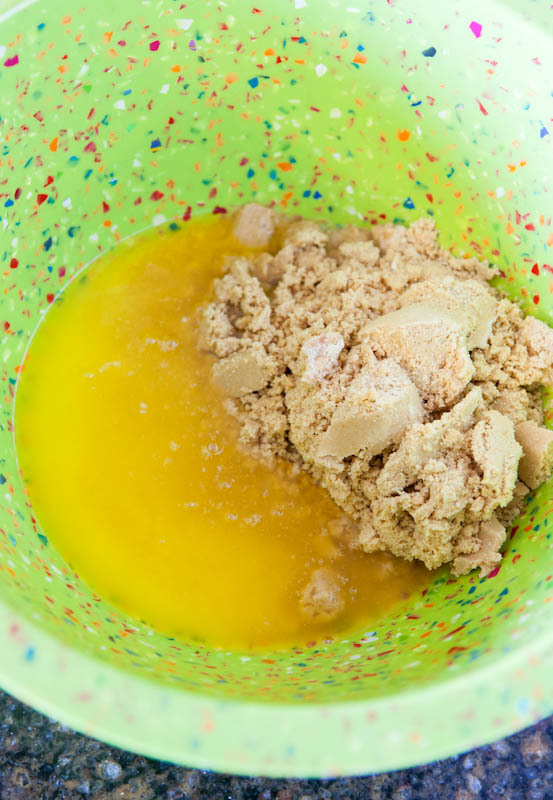 Place the cracker crumbs into a bowl, add the melted butter, and stir to combine. 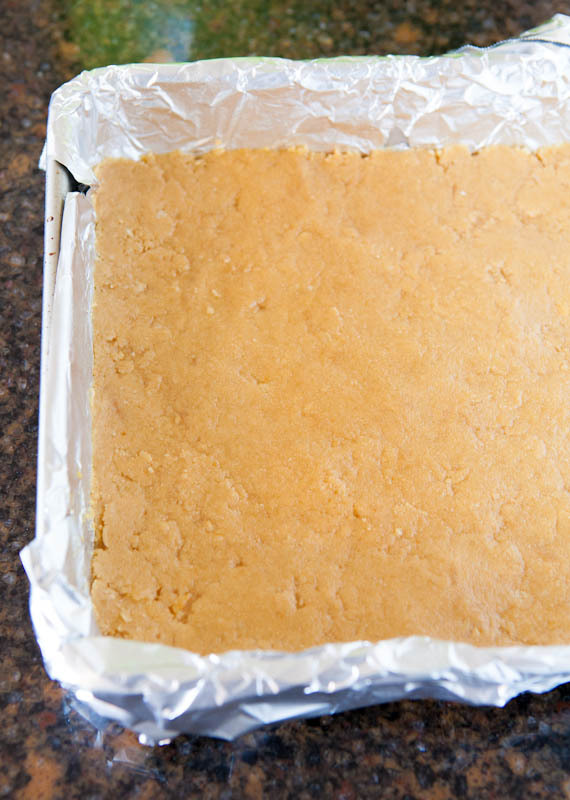 Press a little less than 3/4 of the mixture into the bottom of the prepared pan, set the pan aside, and reserve the remaining 1/4 of the cracker crumbs. 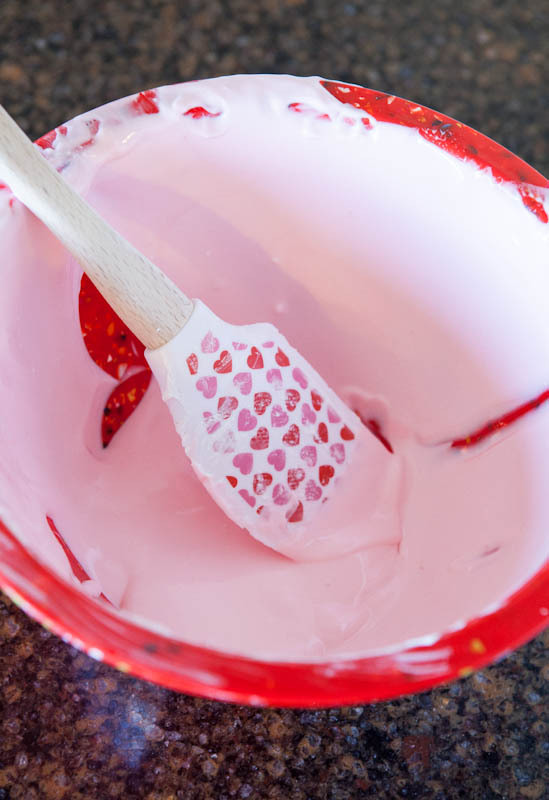 In a large mixing bowl, combine pink lemonade concentrate, sweetened condensed milk, and stir until combined. Add the Cool Whip and stir until smooth. If desired, add food coloring drops to desired shade and stir until color is uniform. Pour the mixture over the crust, noting that you may have an extra half cup or so of the mixture depending on the height of your pan; do not overfill the pan. Use the extra mixture for a mini-tartlette, as a dip for fruit, or just eat it. Top with the reserved cracker crumbs by sprinkling evenly over the top. Place pan into the freezer to set up for at least 4 hours before slicing and serving. 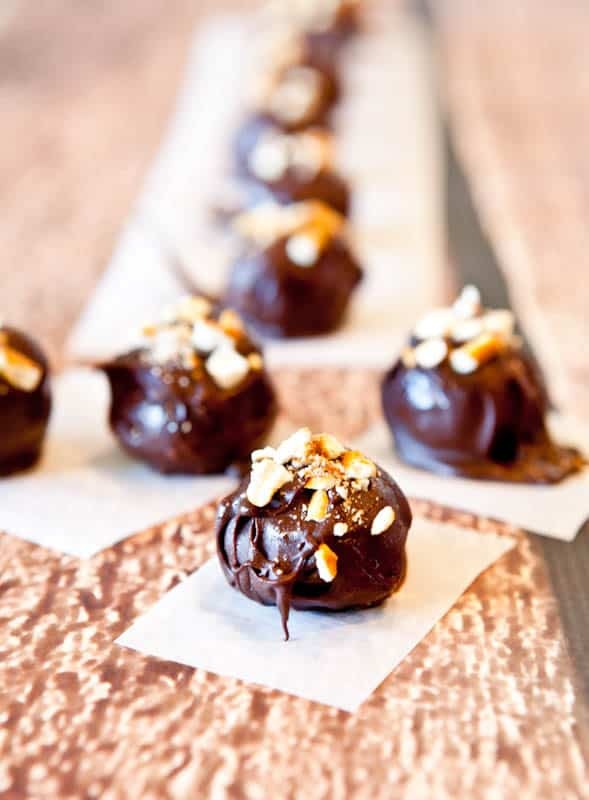 Store extra dessert in the freezer with a sheet of foil over the top. It will keep for up to 3 months. Peanut Butter Cookie Dough, laced with pretzels, encased in chocolate, and topped with more pretzels. 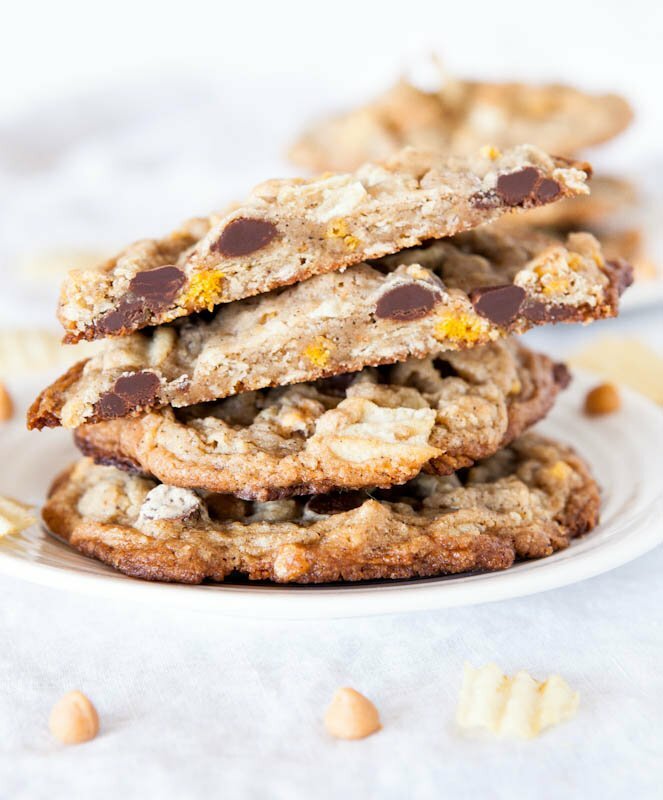 Compost Cookies – Chips of all kinds are included: Potato chips, chocolate chips, butterscotch chips. Sweet, a hint of salty, and full of texture.